Roger Federer marched into his 48th Grand Slam quarter-final, and his 14th at Wimbledon, with a ruthless Centre Court demolition of the No.29 seed Steve Johnson with a comprehensive 6-2, 6-3, 7-5 victory. The seven-time champion has been in supreme form at SW19 thus far and was at his graceful, elegant best against the outclassed American on Monday, equalling Martina Navratilova's record of 306 grand slam victories. The American was on an eight-match winning streak coming into this match, having clinched the Nottingham title in the build-up to Wimbledon, but at 26 he has never been beyond the fourth round of a Slam. Federer, watched by former coach Stefan Edberg, had never faced Johnson in a competitive match and it took a few games for the Swiss to figure out his opponent's style. But once in full flow it was one-way traffic. Federer was able to put plenty of pressure on Johnson's backhand and soon had a break for a 4-2 lead. The Swiss maestro then whistled a stunning forehand down the line en route to earn another break and the first set. And it did not take long for Federer to gain the upper hand in the second set either, Johnson failing to return a lightning forehand with a volley at the net and surrendering the break. 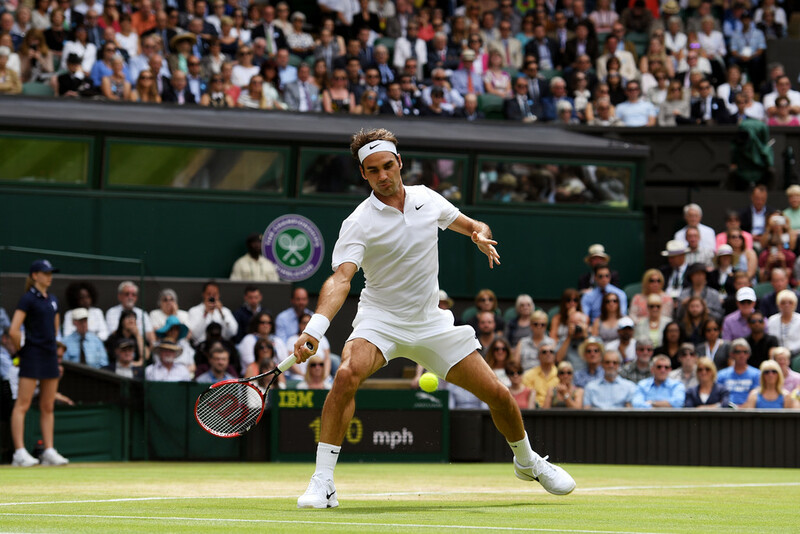 Federer was not giving Johnson a sniff and the second was swiftly wrapped up with the 7-time Wimbledon champion making just one unforced error in the set. There had been few fireworks from Johnson on American Independence Day, but he showed some resolve by breaking for a 3-1 lead in the third with a stinging forehand. Johnson tamely handed the break straight back, though, and he did well to save a couple of break points when serving at 3-3. 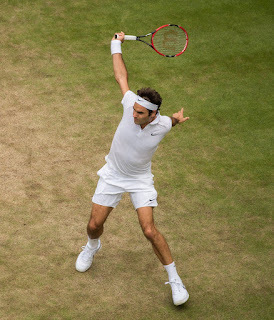 But the writing was on the wall and a superb backhand that landed on the line, coupled with a bizarre attempt at a hotdog shot from Johnson, brought up more break points that Federer easily snaffled. And he served out for the match to set up a last-eight tie against Marin Cilic. Federer has a 5-1 record over Cilic but the big-server stunned the 17-time Grand Slam champion in the US Open semi-finals in 2014 on his way to his sole Grand Slam title. “He brushed me off the court like I was nothing that day, so I’m really hoping to get him back,” promised Federer, adding with a non-sequitur of genuine sincerity: “He’s a super guy. I practised with him when I arrived here at Wimbledon. He was playing great - one-two, one-two, serving, boom, forehand, serving, boom, backhand. Very aggressive. I know what I’m getting into. “But I’m happy about my game as well. I’ve been able to rise to the occasion to play a really good match against Johnson. I think it was by far my best match. So I’m confident.